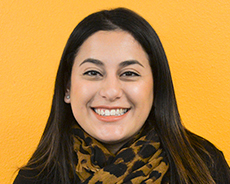 Elizabeth is a Bay Area native and has joined Children’s Health Council as a Human Resource Associate. Her past work experience includes: Customer Service, Management and Human Resources. Over her years in HR, there are two things that keep her in this field. First is the variety of work that comes into the department each day, it definitely keeps her on her toes. Second, are the people she has worked with. Elizabeth has had the honor of working with some of the most dedicated team members, which makes her job even more enjoyable. This position gives her the opportunity to make peoples working lives better. Outside of work Elizabeth enjoys spending time with her family and friends, traveling and watching football – Go Steelers!